Congratulations to the Solar Decathlon 2020 Build Challenge teams! These collegiate institutions represent a mix of new and returning teams that have participated in the U.S. Department of Energy Solar Decathlon® in previous years. Below are the teams participating in the Build Challenge. Today, Solar Decathlon organizers announced that Georgia Institute of Technology has withdrawn from the U.S. Department of Energy Solar Decathlon 2017. The U.S. Department of Energy (DOE) today announced the 16 collegiate teams selected to participate in the U.S. Department of Energy Solar Decathlon 2017. The teams, from colleges and universities across the United States and around the world, will now begin the nearly two-year process of building solar-powered houses that are affordable, innovative, and highly energy-efficient. At the U.S. Department of Energy Solar Decathlon 2015, Stevens Institute of Technology holds the lead after placing first in Market Appeal, Architecture, and Communications. To the cheers of hundreds of student decathletes, Secretary of Energy Dr. Ernest Moniz brandished a pair of giant scissors and cut a ceremonial ribbon to open the U.S. Department of Energy Solar Decathlon 2015 village. The competition and public exhibit have begun! Western New York may not be known as a hotbed of solar energy innovation yet, but the addition of the ultra-efficient Alf House is beginning to change that. Today, Solar Decathlon organizers announced that Yale University has withdrawn from the U.S. Department of Energy Solar Decathlon 2015. 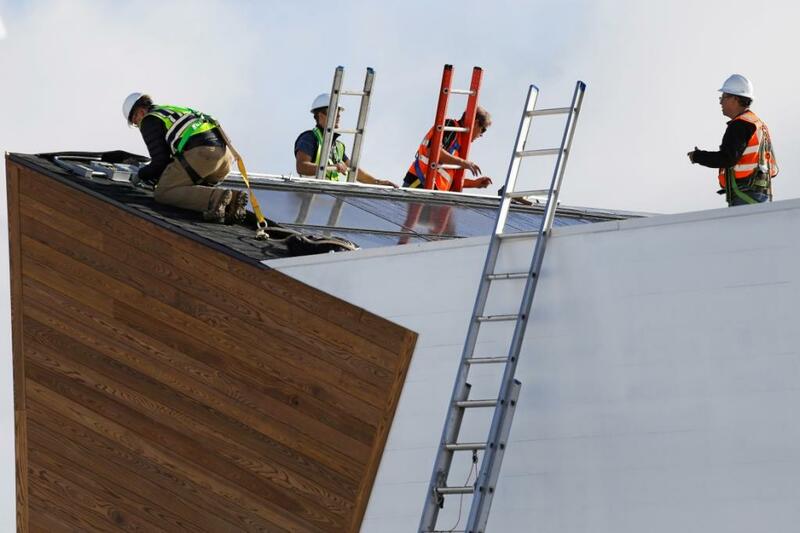 The U.S. Department of Energy Solar Decathlon 2015’s Team Orange County—comprising the University of California, Irvine; Chapman University; Irvine Valley College; and Saddleback College—was looking for a way to represent its home territory. After all, the competition is taking place in its backyard. The University of California, Davis, has strong pedigrees in both sustainable projects and agricultural research. So even though Solar Decathlon 2015 is the first U.S. Department of Energy Solar Decathlon for the school, its Aggie Sol house already has a legacy to draw upon. Its sports teams are dubbed the Aggies for the school’s agricultural and sustainable bent, and its Solar Decathlon 2015 project reflects that mission. Although founded more than three centuries ago, Yale University is in its first Solar Decathlon this year. The team members had to scramble to make up for lost time. When they began their U.S. Department of Energy Solar Decathlon 2015 project nearly two years ago, the team consisted of eight inexperienced freshmen and sophomores.